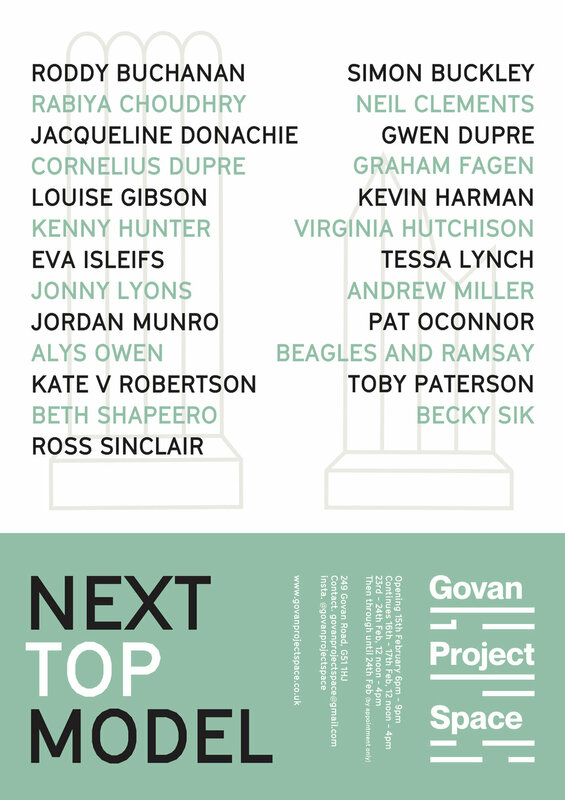 Featuring work by Roddy Buchanan, Simon Buckley, Rabiya Choudhry, Neil Clements, Jacqueline Donachie, Cornelius Dupre, Gwendolen Dupre, Graham Fagen, Louise Gibson, Kevin Harman, Kenny Hunter, Virginia Hutchison, Eva Isleifs, Tessa Lynch, Jonny Lyons, Andrew Miller, Jordan Munro, Pat O’Connor, Alys Owen, Beagles & Ramsay, Kate V Robertson, Toby Paterson, Beth Shapeero, Becky Sik and Ross Sinclair. 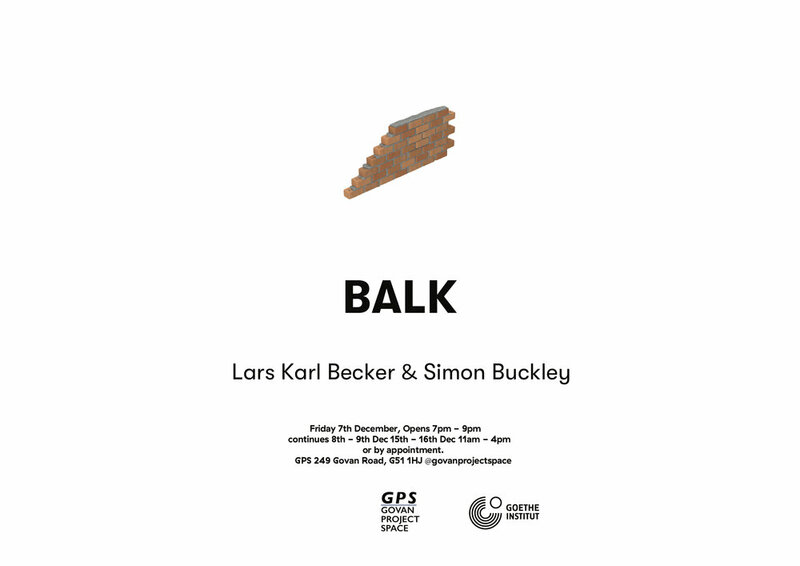 We are very happy to announce our next show at GPS, 'BALK' by Lars Karl Becker and Simon Buckley. Hailing from Berlin and Govanhill respectively Lars and Simon and have worked in a regular collaboration since they studied together in 2014 at Staedelschule, Frankfurt and then Glasgow School of Art. 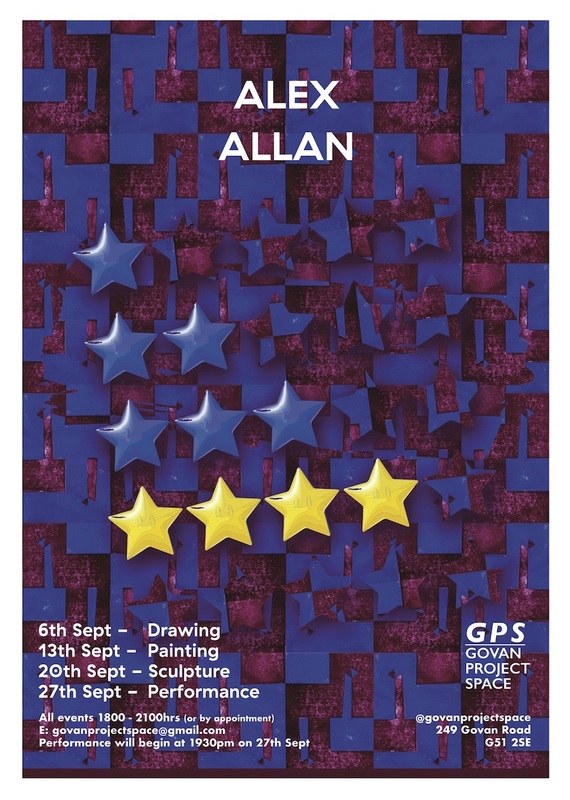 We are pleased to present a busy September at Govan Project Space, Alex Allan will be setting a fast pace with four shows in four weeks showcasing four of the different disciplines from his studio, drawing, painting, sculpture and performance. Blink and you'll miss it, each installment of the show will only be on for a few days. Every Thursday in September between 6pm and 9pm you'll find something new on. Please join us if you can!